Below is VERONICA’s message about April’s new book “In The Afterlife” (actually, it is about much more than that). But first, today Wednesday September 21 is the “official” launch of this book on AMAZON! 1) Everyone who orders a copy of this book before the end of today will instantly receive three free special thank you gifts. After you order, just go to www.InTheAfterLife.Info and sign up at the bottom of the page. See www.InTheAfterLife.Info for the best way to order from AMAZON and for the Three Free Thank You Gifts. If you have not ordered April’s new book yet, but plan to… this is a good time to order it. Or, at least by the end of today. “In The AfterLife” is, because of pre-orders, already # 1 in its genre on AMAZON. However, we are hoping to make the over all best seller list, and even a few additional book orders today can push us over the top! Amazon will do good things for our entire effort if this book has a successful first day launch. If you do order this book, the best place (for us) to order it from AMAZON is at www.InTheAfterLife.Info, but you can also order directly from Amazon. “Nothing is ever lost or wasted. Now, [from Allen] although VERONICA helped greatly by inviting specific individuals on the “Other Side” to write this book, the above is the sum total of what VERONICA herself has written in this 258 page book. This should tell you that this book is completely different from the last several books. By the way, this book contains basically all new, never before published, material as part of the main book. Below is the review that I wrote for AMAZON about “In The AfterLife”. Note that my writing ability pales in comparison with those on the other side who actually wrote the book. This review also does not mention the extra long chapter about my life married to April at the end of the book. But as a reader of “Inner Whispers”, I thought I would tell you about it. Thanks for all of your support over the days and years. It is appreciated by all of us, and, it does make a huge difference. 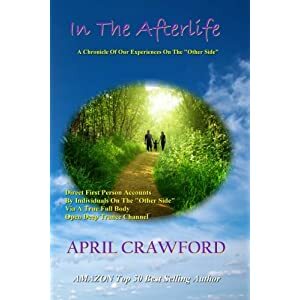 “In The Afterlife” written via April Crawford is one of the most amazing books on the subject of the AfterLife ever published. This book is written via an Internationally well known full body open deep trance channel and spirit medium of extraordinary natural abilities in this field. The afterlife is a subject that sooner or later everyone will think about. Life After Death is a subject that some say cannot be discussed with full knowledge until one actually “dies”. However, this is simply not true. Those who wrote their direct messages for this book are now in the afterlife. They are able to do this via this unique vehicle of one of the world’s very few true full body open deep trance channels and spirit mediums. Although experienced in this field for many years, I have waited ten years for this book to be written and another year for it to be published. This is the real deal and will be of interest to anyone who feels that they, or anyone they know, will ever “die”. This book offers both comfort and knowledge, directly from the sources. Directly from those that know… because they are there. I truly hope you enjoy this book. It is suitable as a gift for individuals of all ages, but especially for everyone who may be close to crossing over. It is a source of great knowledge and comfort. 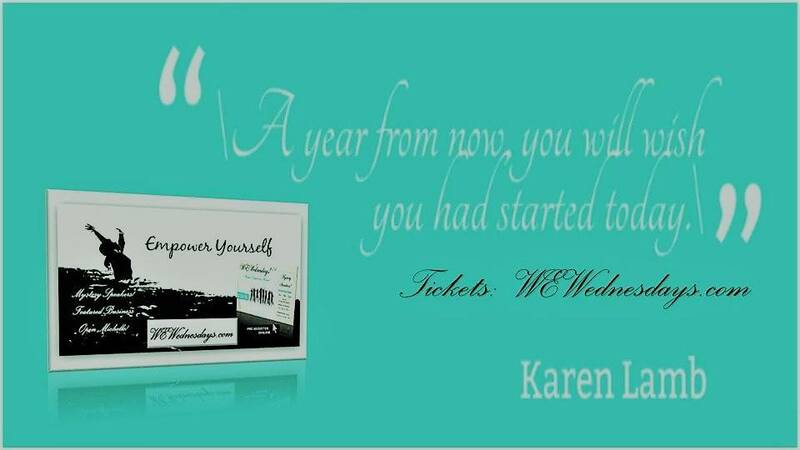 Filed Under: AMERICAN [U.S.A.], FEATURED EVENTS, INSPIRATIONAL BOOKS Tagged With: "official" launch, A Celebration of Women, afterlife, APRIL CRAWFORD ~ ' In The AfterLife ', author, best sellers, book on AMAZON, channelling, life, new release, other side, spirit, spiritual, Take Action, trance, Veronica, WOMEN of ACTION™, women taking action, women.